Markdown is an easy-to-learn markup language that’s used to format plain text documents. Even if you have no previous experience with it, Markdown is so simple that it can be learned in under 10 minutes. Unlock the free "Markdown Cheat Sheet" now! For example, if you want to make a word appear italicized, just surround it with asterisks (e.g. *test* becomes test). This also works for entire sentences or even paragraphs. If you want to make a bulleted list, just start each line with a hyphen character. Simple, right? There are all kinds of Markdown editor apps out there, and you can even use Markdown in Microsoft Word. If you’re still a bit confused, check out our beginner’s introduction to Markdown. Otherwise, refer to the Markdown cheat sheet below for a quick overview of what you can do with it. > of every single line. > Use a blank line for multiple paragraphs. Mixed List 1. Can you mix list types? Note: Either three hyphens, asterisks, or underscores. Ignore Markdown Prefix Markdown characters with \*backslashes\* to ignore formatting. Note: Preceding blank line is necessary. Mention You can mention @users and @teams on GitHub. Mainly useful when submitting or commenting on bugs and issues. Note: Emoji codes can be found in the emoji cheat sheet. Note: Nearly all flavors of Markdown support the basic elements, but the extended elements are only supported by more advanced forms of Markdown, including CommonMark and GitHub Flavored Markdown. The original Markdown specification came about in 2004. However, as innovative as it was, many users felt that the original Markdown’s feature set was too limited for anything more than simple document formatting. As various sites adopted Markdown as their preferred method for inputting text (e.g. blog posts, comments, forum posts, etc. ), they began adding and supporting their own elements of Markdown markup. Notable sites include Reddit, GitHub, Stack Exchange, and more. Eventually, users began pushing for a standardized set of formatting elements, leading to the creation of even more Markdown flavors like CommonMark, MultiMarkdown, Markdown Extra, GitHub Flavored Markdown, and more. Long story short: Once you learn the basic elements set forth by the original Markdown specification, you’ll be able to pick up any other flavor of Markdown with ease. The variations are subtle and often only useful in very specific use-cases. For more, check out our guide to creating a table in Markdown How to Create a Markdown Table How to Create a Markdown Table Markdown makes it simple to format text online, such as bold text, and links. You can even make tables with Markdown. Read More . 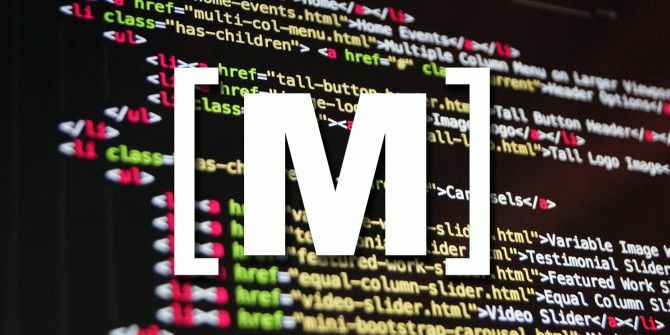 And if you’re still looking for a markdown editor, try Typora 8 Reasons Why Typora Might Be Your Favorite Markdown Editor 8 Reasons Why Typora Might Be Your Favorite Markdown Editor Markdown editors are popular as alternatives to powerful text editors. Here's why Typora can claim to be among the best. Read More . Explore more about: Cheat Sheet, Markdown, .